This fully responsive landing page template for business website features parallax scrolling effect and HTML plus JS animation, which make it dynamic and engaging. This responsive photo gallery template has lazy load effect which will guarantee your portfolio viewers the best user experience and your website the best performance. Fully responsive website template for a transportation or shipping company website. 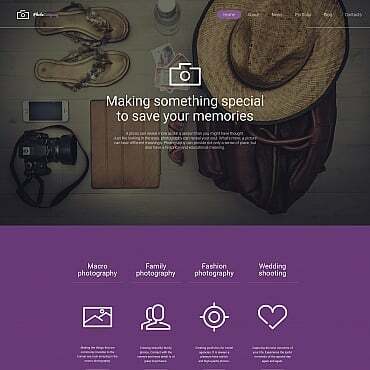 Powered by Bootstrap and featuring parallax scrolling effects among the most prominent features, this layout is a truly great choice for any corporate website. Fully responsive Magento theme for a modern fashion online store. This beautiful Magento design comes with a number of useful features and web forms. The length of your stride, the strike of your foot, the tilt of your body. This virtual coach takes in hundreds of these readings every second and uses them to give you live feedback through your headphones. 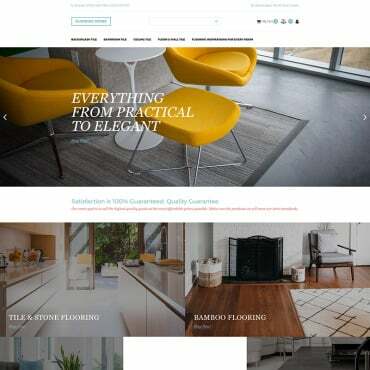 To help you build a professionally looking online presentation for your business and drive more viewers in, give this Hotels WordPress theme a try. SEO friendly and fully responsive, the given clean and minimalist Prestashop theme will perfectly fit for selling grocery online. Green hues are used for a reason, evoking associations with nature, health, wealth and happiness. Want to differentiate your flower website from the competitors? Choose this neutral flowers WooCommerce theme. The author uses slider to the fullest. There are main menu bar, call to action button and text there. Drinking a cup of fragrant coffee is the best way to start new day. Coming in various types and flavors, this is the favorite beverage of many gourmets worldwide. A very impressive bike theme. What makes it so attractive? Of course cool bike images together with coral red elements of unusual shapes and large headlines. OpenCart has quickly become one of the more popular eCommerce solutions. Joomla is a very popular content management system. Our Joomla templates are designed by professionals and all developed with you in mind. 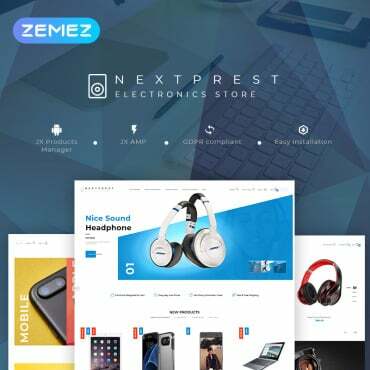 So you're using PrestaShop and need a premium theme? You came to the right place! PrestaShop is an open source eCommerce platform that has become very popular over these past few years. All of our website templates come with 24/7 support and we guarantee you'll be satisfied! Simply put, our website templates the best of the best! Here at the Web Design Library Shop, we offer only the highest quality website templates. All of our themes are designed and coded by professionals with you in mind. Here at the Web Design Library Shop, we offer only the highest quality website templates. A secret spell of a successful model agency is its elegant and classy website that drives hundreds of visitors in. This 100% responsive OpenCart template for a music online store is going to do wonders for your business. Here at the Web Design Library Shop, we offer only the highest quality website templates. And this fully responsive Medical Website Template is a good example.